Not sure I really even am now. Halloween has just become the night that all the family gathers together and has a family dinner, lots of desserts, talk, laughter...oh...and giving away of free candy. 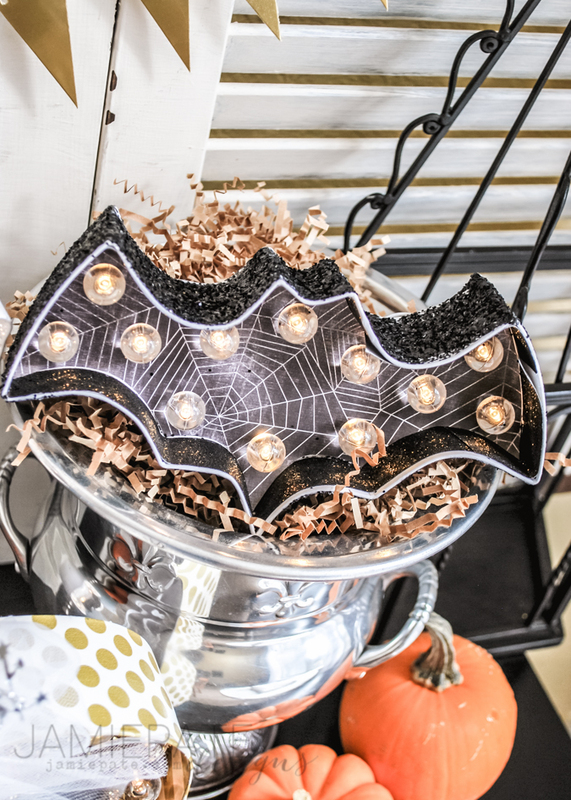 So since we are having a party anyway...one needs fun, lit up fun-stuff by which to give out all that free candy. And glam was the game. So I pulled out all things glittery and gold and silver. 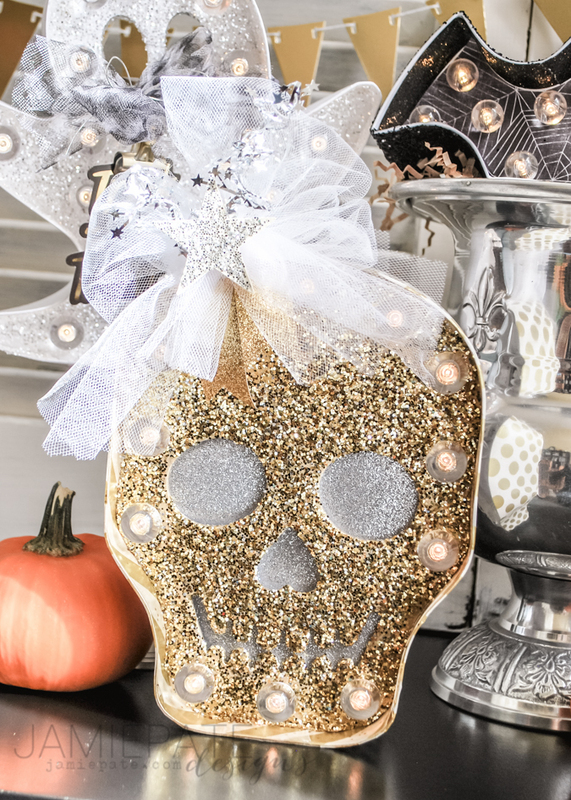 The skull...I call her #glamskull...was glittered on the face part, and the inner and outer edge were taped with gold polka and gold stripe tape found at Michaels Stores. A tulle bow was tied and stuck on her head. Along with some glittered stars and star garland. Literally just stuff I had laying around. The bat was kept easy-peasy...he has web paper trimmed to fit inside his shape. Black glitter tape was added to the inner edge. Then the outside was all black glittered up. He's fun. Then there is this here little cutie-ghost. I call her #glitterghost. She was all glittered up inside with the white/silvery glitter from the Marquee Love collection. Chevron tulle was wrapped around her neck and tied in a bow. 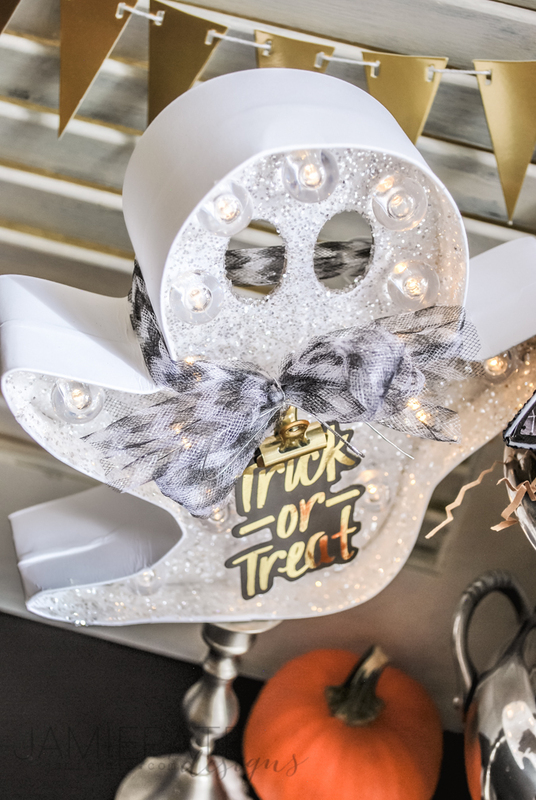 Then I hung a Crate Paper Halloween Minc tag to her with a clip. She is super simple too. And I super-simply love how it all turned out. We should have a house full this Saturday night. Can't wait to light up all these Marquee's of a evening and just have fun. 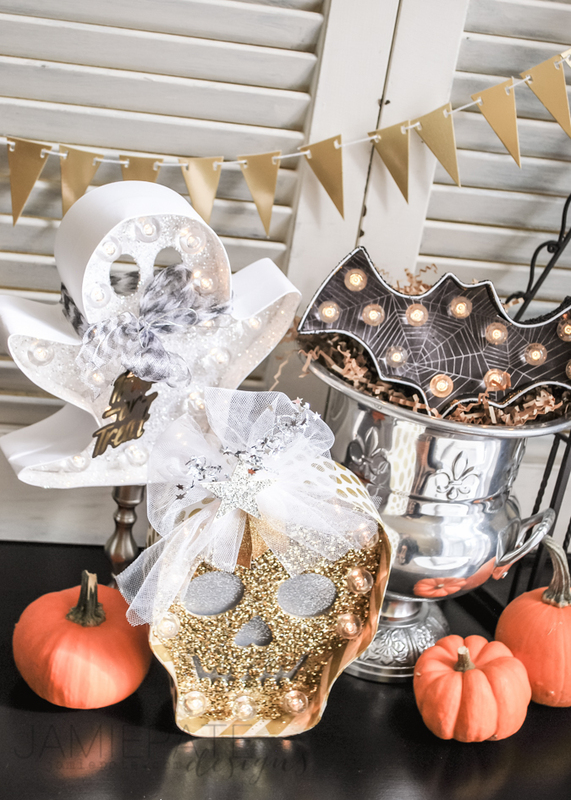 Halloween Marquee Love (found at MIchaels): Kit: Ghost, Skull, Bat. Glitter: Gold, White, Black. Tape: Gold Stripe, Gold Polka Dot, Black Glitter. Paper: 8x8 Glitter Paper.